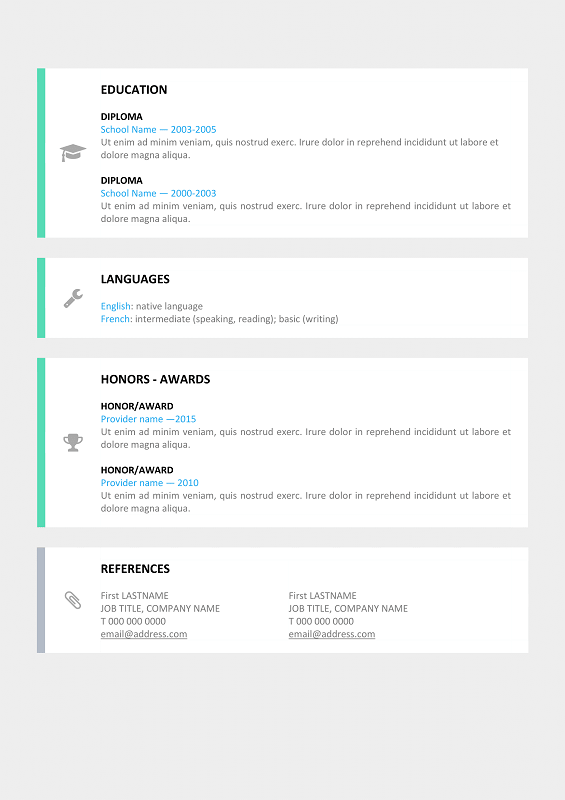 Le Marais is a free modern resume template. Inspired by User interface design (UI), often seen on the mobile apps or websites for example. 2-page legible and functional layout. Clear, pleasant and easy-to-read information design. Includes cover letter template. 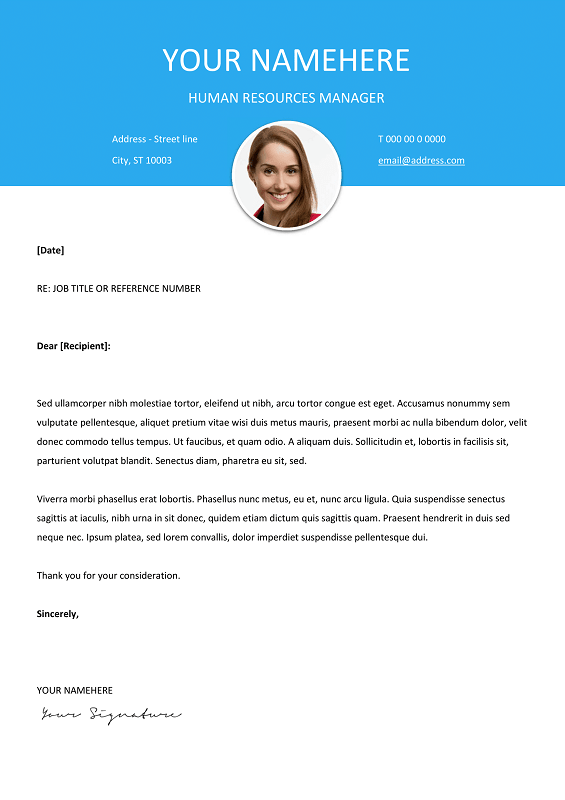 Download the Modern Resume Template for free! @Ravi Kumar: thank you for your comment – this is exactly the purpose of this website, very glad you like it! Thanks for adding this amazig template , that toke from you Time, for Free. Thanks for the great template! Using it is super easy and so wonderful that it is free. wonderful resume…. but the icons used in the resume is not visible in word…. how to download them…. Hey @Thipu, thank you! As explained, these are icons from the free font FontAwesome. You need to install this (again, free) font first before using/opening this template in order to get these icons. 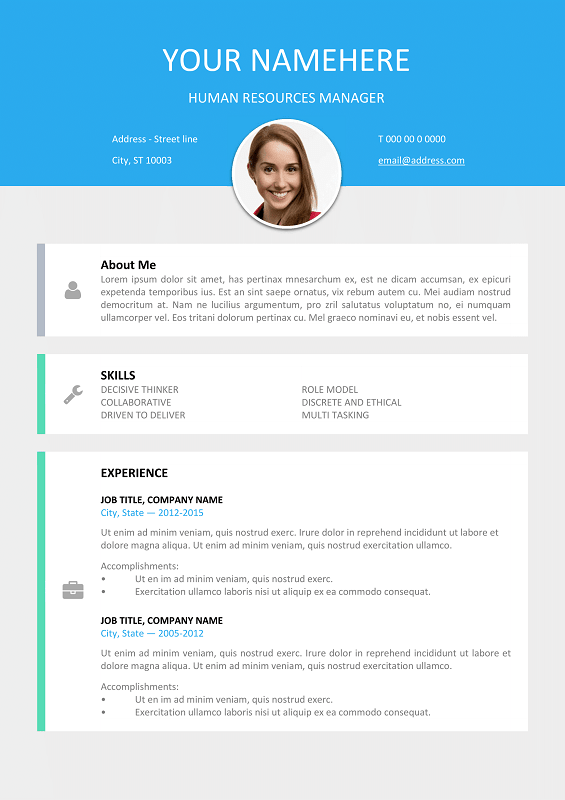 Nice and beautiful resumes – be it professional or creative/modern formats. You are kind enough to make them available for free – in word format. Hats off. Hi Siva, and thanks for your amazing comment! You made our day! I installed “Awesome font” in system (Win10) after download it (from /use-on-desktop folder) and still have no icons on the left. I done it on two computers. Could you tell me what is the problem (the same as @Thipu)? Hi Jack, that’s weird. Try to insert these icons/fonts: select the icon (or whatever is in place of the icon…) on the template. Then go to Insert >> Symbol (usually on the far right of your toolbar) >> More Symbols. Then select FontAwesome in the Font scroll menu, select the icon of your choice and Insert it. You should now have the selected icon correctly displayed… please let me know if this works. Thanks. One of the few websites out there that provides genuinely free awesome Resume templates and tutorial. I just can’t wait for your new and exciting templates to come. Highly recommended for everyone. God Bless everyone on this team. Please continue your awesome job. Hey @Jon, thank you, very much appreciated!